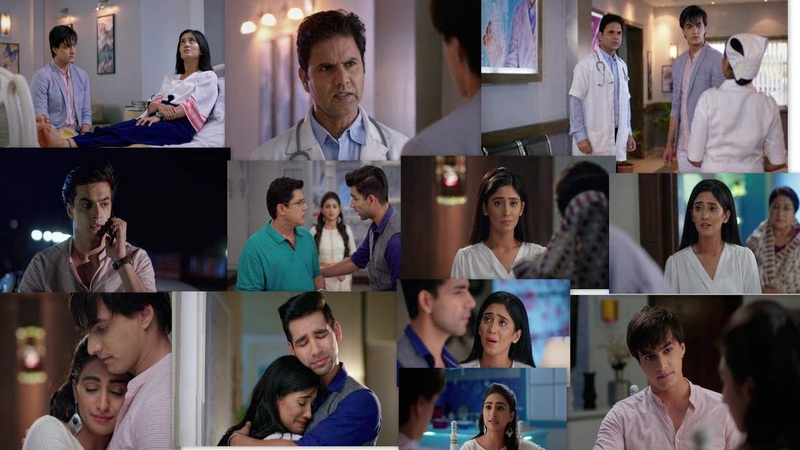 Home Yeh Rishta Kya kahlata Hai Yeh Rishta Kya Kahlata Hai 2nd July 2018 Episode Written Update "Naksh-Keerti Come to Reunite Kaira"
Yeh Rishta Kya Kahlata Hai 2nd July 2018 Episode Written Update "Naksh-Keerti Come to Reunite Kaira"
Yeh Rishta Kya Kahlata Hai 2nd July 2018 Episode Written Update "Naksh-Keerti Come to Reunite Kaira". 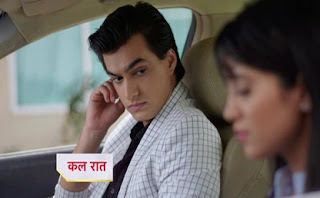 Episode starts with Kartik questions Naira about her leg injury. Naira refuses to tell him anything. She asks him about his drinking habit. She asks him for an answer. Kartik refuses to answer her. She too tells him that she will not answer him. Naksh and Kirti plan a trip to Mumbai. Kartik calls up Naitik to know about Naira’s injury. He informs him about Naira’s ankle sprain. Naitik tells him that Naira has got injured before as well. He asks him to better ask Naira about it. He calls up Naira to know about her injury. She asks him to enjoy his stay in Udaipur and not worry for him. Naitik gets worried for Naira. Kirti assures that she will make a plan and try to bring Kartik and Naira together. Naira and Kartik stay concerned and try to know about their personal problems. Manish learns that Suwarna has left for Shirdi without informing him. Naitik meets Manish to tell him about their plan about Naksh and Kirti. He learns that Suwarna is not in the city. Devyaani invites Goenkas for Naksh and Kirti’s anniversary. Naira calls up the pub to know about Kartik. The manager tells her that Kartik didn’t come today. Suwarna tells Manish that she couldn’t wait for him, she has gone to Shirdi to pray for Kartik. He gets relieved that she didn’t go to Mumbai. He doesn’t want her to go Mumbai and see Naira with Kartik. He wishes that she returns home soon. Naira spies on Kartik to make sure that he doesn’t drink. She asks Kritika and Dadi about Kartik. Dadi does not know about Kartik either. When Kartik comes home, Naira finds him fine. She gets relieved that he didn’t get drunk like always. Kirti and Naksh surprise Kartik and Naira and bring some happy moments. Kartik doubts that Kirti wants to unite him and Naira. Naksh tells Naira that Kirti has come to meet Kartik and Dadi. He doesn’t reveal that they have come to bring Kartik and Naira together. Naira asks Kartik for going out As She Didn't Celebrate Anything from Last 2 Years.Naira Wears Kartik's Fav Color.Kartik Notices Same in the Car.